Notify Sponsor and Obtain Prior Approval - The Principal Investigator may need to contact sponsor which may have requirements to notify them or seek their approval for a change in plans related to a leave. Typically sponsors require notification. 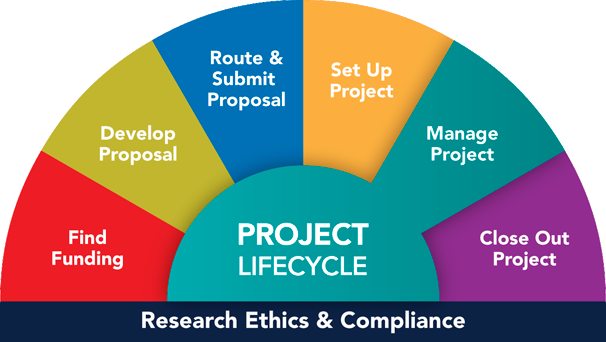 Seek their approval for reducing planned effort by >25% or for time away from the project for > 3 months for key personnel and possibly complete a Post-Award Change Request (PACR). Secure Reimbursement - UMOR can reimburse your unit with funds from a UMOR pool account. Please note that this pool is intended to provide support for those on sponsored funds as well all postdoctoral research fellows, regardless of funding source. Retroactive Salary Transfers - For those who need a retroactive salary transfer, units can submit a "Request for Salary Transfer" form to the University Payroll Office. You only have 120 days from each leave instance to do this. Also note that there are different forms for Postdoctoral Research Fellows and Faculty members. As of September 1, 2018, the University of Michigan (U-M) has policies in place for paid maternity and parental leaves. Please visit the HR website and SPG 201.30-6 for comprehensive information on these policies and related HR processes. For quick reference, see the Summary Guide of Time-off Options for New Parents. UMOR maintains a central funding pool to cover maternity or parental leave charges for postdoctoral research fellows, regardless of funding source. This Extended Leave page outlines the steps that must be taken by faculty, staff, and postdoctoral research fellows who request a leave while paid by sponsored funds (codes 20000 and 25000). This page also provides information on the funding available for all postdoctoral research fellows who are eligible for maternal and parental leave. The qualifying illness/injury or pregnancy must be communicated to the University's Work Connections program, which provides authorization forms and confidential management of the event/condition while verifying the qualifying medical disability. Work Connections will verify the qualifying medical disability, expected duration of absence and any work restrictions, and inform the employing unit which will determine the eligibility for the use of the Extended Sick Time, Extended Leave, or Maternity Leave. The authority to grant Extended Sick Time pay/Extended Leave and Maternity Leave is a unit's responsibility. The employee is required to submit appropriate medical documentation to Work Connections. Postdoctoral Research Fellows and Faculty do not submit time sheets so no exception time is recorded. The employing unit must request a retroactive salary transfer by submitting a "Request for Salary Transfer" form to the University Payroll Office, if needed. These requests must be submitted in compliance with the U-M Finance's Retroactive Salary guidelines. If the Extended Sick Leave, Maternity Leave, and/or Parental Leave is expected to exceed 120 days from the original journal date of the general ledger transaction, a "Request for Salary Transfer" form will need to be submitted before 120 days of each leave instance to remain compliant with these guidelines. Please note that there are separate forms for Postdoctoral Research Fellows and for Faculty. For postdoctoral research fellows, eligibility is now based on title and not how the postdoctoral research fellow position is funded. On a regular basis, the University will audit the individuals paid from the central fund against Work Connections' verifications of disability to ensure policy compliance. In instances of non-compliance the costs will be transferred to the employing unit. Note - the employing unit is responsible for ensuring that all other HR actions associated with Extended Sick Time Pay (staff and faculty), Extended Leave (postdoctoral research fellows), and Maternity and Parental Leaves (staff, faculty, and research fellows) are performed in a timely manner (e.g. Family Medical Leave Act (FMLA) notification). We have a faculty member/postdoctoral fellow who needs an extended leave for an injury/surgery/maternity/parental leave. What should we do? Follow the steps above, “For Those Who Need a Leave.” Note that an extended leave may be needed for unexpected medical events such as injuries, for a planned maternity leave, or for planned non-medical leaves such as a parental leave for the birth, adoption, or fostering of a child, or another qualified reason. If you have questions, contact Bekah Ashley, Director of Human Resources, umor-extended-sick@umich.edu. I am a postdoctoral research fellow with an impending maternal or parental leave. Will the UMOR pool help fund my leave? If UMOR covers the cost of the leave, what will happen to the effort? Does the work also stop? Read the sponsor guidelines, the funding opportunity, and the provisions of the award. The Principal Investigator may need to contact sponsor which may have requirements to notify them or seek their approval for a change in plans related to a leave. Will UMOR cover the funds for the full 12 weeks (for both the 6-week maternity leave and the 6-week parental bonding leave) for eligible faculty and staff? Where can we find more information and resources about how maternity and parental leaves work? Please visit the HR website and SPG 201.30-6 for comprehensive information on these policies and related HR processes. For quick reference, see the Summary Guide of Time-off Options for New Parents. I have questions about much time I can take for my new maternity or parental situation (e.g., caesarean section, adoption, new fostering arrangement)? These questions relate to maternity and parental leave and are handled by U-M Human Resources. They have policies in place. Please visit the HR website and SPG 201.30-6 for more information on these policies and related HR processes. Also see the Summary Guide of Time-off Options for New Parents. Who could we contact with questions if we are paid by Sponsored Funds? Please direct inquiries to the UMOR Director of Human Resources at umor-extended-sick@umich.edu.